Apple reclaimed its top spot in J.D. 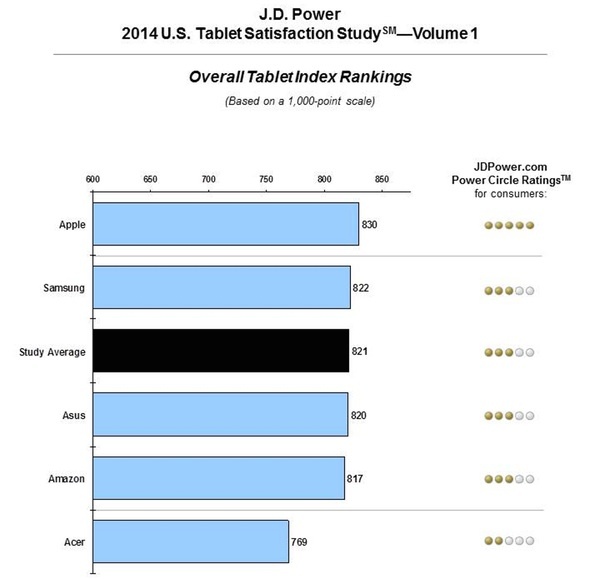 Power’s latest US tablet customer satisfaction study this week after falling to Samsung in November. You might recall that the results of the report were fairly controversial, as the iPad beat the Galaxy Tab in 4 out of 5 categories and somehow still lost. – Lower price is the No.1 reason for tablet choice in 2014, with 25 percent of current tablet owners citing price as the main reason for selecting their current brand, compared with 21 percent in 2013. Features offered and brand reputation are the next most-frequently cited reasons for selecting a tablet device (22% and 21%, respectively). – Since 2012, the average purchase price of a tablet has decreased by $53 ($337 in 2014 vs. $390 in 2012). – Overall satisfaction has decreased by 18 points to 835 on a 1,000-point scale in 2014 from 853 in 2012. The largest decline in satisfaction is in the ease of operation factor, with substantial decreases in two attributes over the three-year time frame: navigation (8.30 vs. 8.52, respectively, on a 10-point scale) and adjusting tablet settings (8.30 vs. 8.50, respectively). The survey was based on experiences evaluated by 2,513 tablet owners who have owned their current device for less than one year. The study was fielded between September 2013 and February 2014, and scored on five factors: performance, ease of use, features, styling & design, and cost. In previous marketing campaigns, and various public forums, Apple has touted the fact that it’s ranked the number one tablet manufacturer by J.D. Power. The firm has long been a fixture in electronics and automotive industries, and is highly regarded for its consumer satisfaction research. 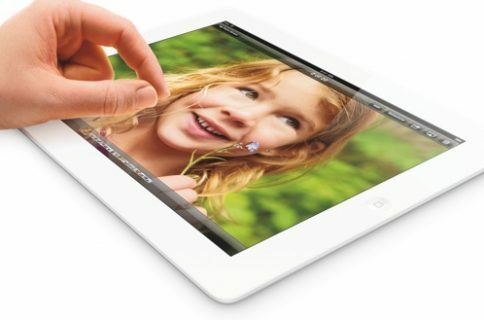 Last fall, Apple introduced a redesigned iPad (Air) and a new iPad mini with Retina display. 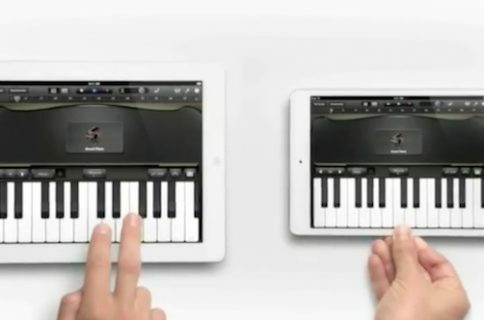 This year, the company is expected to add its Touch ID fingerprint scanner to both tablet lines.